Learning how to sew is a skill that allows you to mend and repair things that you have or make things that you want. Basic sewing is easy, doesn't take much time or skill, and can even be fun. I like to repair things, hem pants, fix rips, and create a few things that I want. I have a lot of fun using old clothes or scraps to make something simple that I want. It makes me smile to use what I have to make what I need. The more ways you know how to use the things you have, the more things you actually have. Start with a basic sewing kit. Get a basic sewing machine. With those simple items you can make and mend just about anything. Make your dog a DIY sleeping bag with a thrift store jacket, a needle, and thread like the sleeping bag I made for my dog, AlaskaSammy. Keep your dog safe and warm on camp outs, hunting trips, power outages, or emergency situations. To make a homemade dog sleeping bag, turn a jacket inside out, stitch the sleeves to the inside at the bottom. Zip your jacket and stitch the bottom together. The sleeves act as channels to hold the jacket up and out, ready for your dog to crawl inside. Zip the dog sleeping bag to the opening your dog prefers. I like to stuff toys and extra blankets into the sleeves, and use them as pockets. A few minutes work, and you have a cozy snuggle sleeper sleeping bag for your dog. 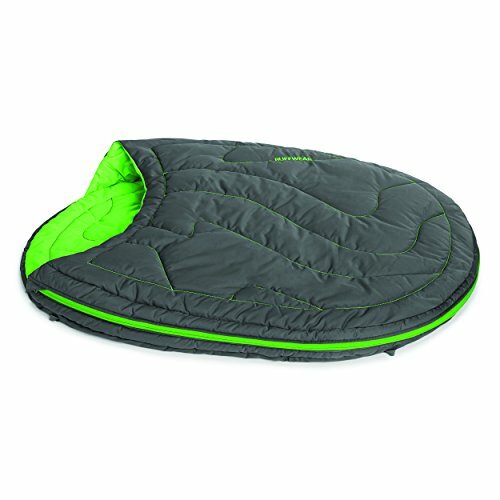 The insulated jacket provides a water resistant, warm layer pocket bed for your dog in cold, damp, snowy weather. Try this DIY homemade sleeping bag for your dog from a jacket. Keep your dog safe and warm when you take him or her camping, and warm on cold winter nights, even at home. Troubleshoot the light on your Brother Sewing Machine with a few easy tips. Learn how to change the bulb if your light bulb has burned out. Check the cord, is it plugged into the wall, and into the machine? Use a Philips Head or straight screwdriver to loosen the screw that holds the cover over the light bulb. Easy, fast tips to get you sewing with your light working properly on your sewing machine. Changing the thread on your bobbins is not difficult, but can be time consuming. 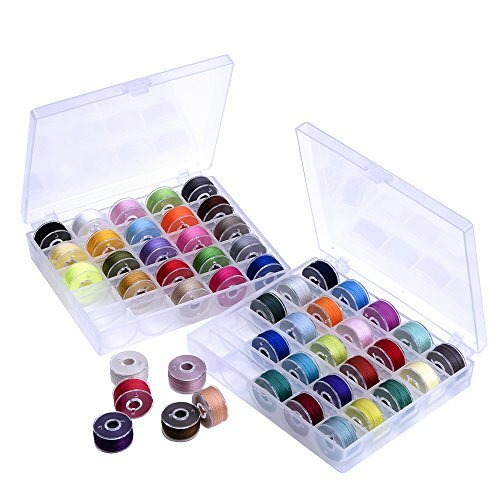 When you are mending several items that all need a different colors of thread, or making a project with many different colors, it can be convenient to have bobbins that match your thread already wound and ready to use. 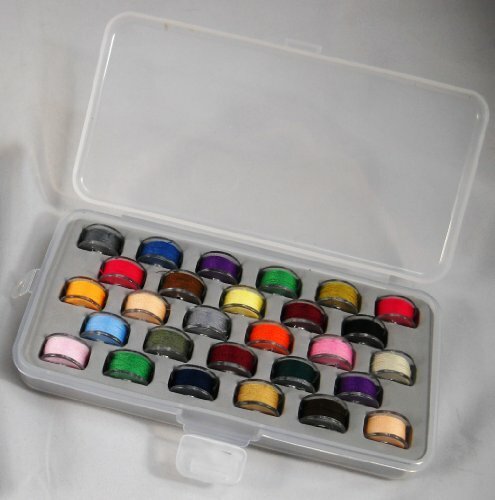 This set of size A, class 15 bobbins comes with 50 bobbins in 2 plastic storage boxes. They fit many brands of sewing machines including the Brother. The bobbins are fully wound, do not tangle in your machine, and flow smoothly when you sew. Travel Sewing Kits from the Dollar Tree are a complete basic sewing set that comes in a clear PVC cases with handles, and include 6 spools of thread (white, navy, black, hunter green, red, and sage green); a plastic tape measure; small plastic box of silver and gold safety pins, straight pins, and buttons; a pair of small scissors that actually cut thread; a needle threader; a plastic box of assorted needles with a dial opener safety dispenser; and a plastic thimble. Great for travelers, these travel sewing kits with carrying cases come in assorted colors. If you need a basic sewing kit, pick up one of these sewing kits from the Dollar Tree. Do you have an old long sleeved shirt? With a pair of scissors, you can make a quick organizer for all of your loose plastic bags. This is the easiest grocery bag holder you will ever make. We need to keep plastic grocery bags for so many uses, but storing and organizing them can be an irritating inconvenience. Organize your plastic bags in a jiffy, while keeping them at your fingertips when you need one. If you like yoga, you need a strap to help carry your mat to class. This video shows you how to make a strap that will adjust to fit your yoga mat, no matter how thick it is, how tightly you roll it up, and will even fit a yoga mat rolled up with a towel inside. For only a few dollars, you can make a yoga strap to fit your mat, your body size, and be the color you choose. Try making a yoga strap just the size and color you want. Even if you are doing simple sewing, quality sewing pins make help each project turn out best. These pins from Wright are glass head, which will not melt if you need to iron a project you are sewing. 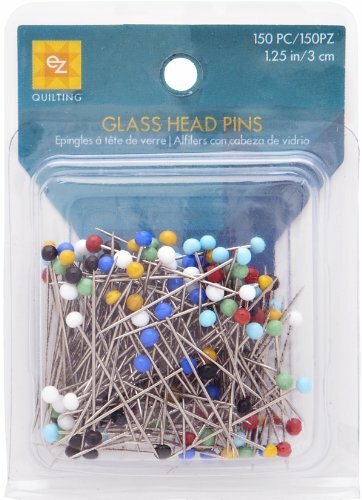 The bright and varied colors of the pin heads make them easily visible to remove when sewing. Each pin is about 1 1/4 inches long which makes them easy to handle. These Wrights glass head pins are sturdy, the head stays in place, and they can easily hold multiple layers of even thick fabric together. Take an old T shirt, a pair of scissors, and make a tote bag. This project has no sewing. How simple is that. A tote bag made from an old t shirt just by cutting. Try making a tote for a shopping bag, to take on outings, or trips to the beach. Larger shirts will make larger bags! The Brother XL 2610 or XL 2600 sewing machine is an inexpensive easy to use sewing machine. It is simple, sturdy, and dependable. I bought this machine a year and a half ago and have used it to sew through lightweight fabrics as well as denim and canvas. I have used the Brother sewing machine for all types of basic sewing and mending. It is simple to plug it in, has good directions to thread the machine, what bobbin to use, how to wind the bobbin, how to choose stitches, how to use the pedal. A well written guide book teaches how to operate the Brother sewing machine. 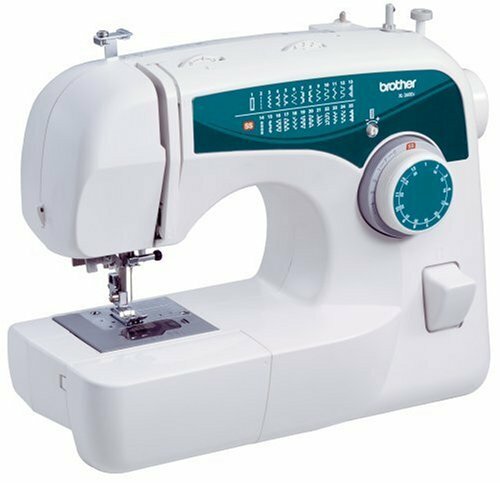 If you are looking for an inexpensive machine for a beginner or for your basic sewing needs, I like the Brother XL 2610 or XL 2600. The Brother XL sewing machine is an amazing machine for the price. Nothing about it is cheap except the price. I have been using mine now for nearly 3 years, and it works great. I have had several other sewing machines that all were more expensive, and did not do more than this one. I have used it to sew thin fabrics, jeans, canvas, and lots of projects and mending. I love pulling out my sewing machine and whipping together a small project, mending, or simple altering to help clothes fit better. I am glad I bought this machine, and am enjoying sewing with it. The Brother Sewing Machine is a handy hardworking and dependable sewing machine. Threading it is easy, and the directions are printed right on the machine to help guide you. Place the thread on the spool pin, through the thread guide, down the right, up the left, over the hook, and down still in the left. Now thread the needle front to back. To load the bobbin, release the cover by pressing on the little square, remove the lid, and drop in the bobbin with the thread winding to the front. Follow the guide and pull it to the left, replace the cover. Now hold the needle thread, move the needle down and up and capture the bobbin thread. Pull long tails on both threads, and place them to the back. You are ready to sew on your Brother Sewing Machine. Mine is a Brother Model XL2610 and I love how easy it is to use. If you have a Brother Sewing Machine model XL2600 or XL2610 winding the bobbin is easy. The steps are printed right on the machine to help you, and are simple. Place your spool of thread on the spool pin, wind your thread from the front to the back on the thread guide, and thread it through a hole on your bobbin. Place your bobbin on the bobbin winder, hold the thread, and push the bobbin over so the winder is against the holder. Now press your pedal, and the winder will spin the thread on to your bobbin. Stop before it becomes too full, and cut the thread. Now it is ready to use. The Brother Sewing Machine is a great basic machine that easily sews most items, and if affordable. Learn to set up and use your basic Brother Sewing Machine. If you have a Brother Sewing Machine with knobs or dials to turn to select your stitches, here is an easy tutorial on how to use the stitch selector. Make sure your needle is in the up position. The dark gray dial or knob closest to the machine is the stitch length selector. Use the smaller outer dial or knob to turn to the number of the stitch you want from the stitch selector guide shown on the machine. If you want straight stitching, number 2, turn the dial to 2. If you want the ones marked SS TURN THE GRAY STITCH DIAL TO SS then turn the outer wheel to those numbers. The chart on the machine should show SS in the row of stitches that need to be set at SS. Turn it back to 3 or 4 and set it to straight stitching selection 2 when you are done so it is ready to go next time. The 2 stitch selector dials are easy to use once you understand how they work. The Brother Sewing Machine XL 2610 or XL 2600 is a great basic machine for beginners. Learn how to use your basic Brother sewing machine. If you enjoy snuggling with down comforters, you know they need a cover to keep them clean, and help them last. Here is a simple, inexpensive way to make your own duvet cover from sheets. You can make a duvet cover to match your bedding or decor with these easy directions. Wondering what is the easiest way to get your comforter into the duvet cover? Follow this easy tip, and your comforter will be stuffed into your duvet, ready to keep you warm, while staying clean and protected. We love our jeans, and want them to last. Here are 3 simple steps to repair the hem of your jeans. No sewing is required! Trim the loose threads, dab at the white threads with washable markers, and finish with a layer of clear nail polish to hold the threads together. Your jeans will look much better in just a few minutes. Do a simple fix to the hem of your jeans so they will look nicer and last longer. A pillow form is a plain pillow made of polyester fiber covered with simple white cotton or muslin. Stuff a pillow form into decorative pillow covers. Follow these simple steps to make a pillow form the size you need. In a few moments, you will have a cozy decorative pillow just the size you need, and your pillow will stay fluffy. Your sleeping bag is a big investment. Help it last for many years by storing it properly. Use a stuff sack that allows the insulation materials to stay fluffy, which enables you to stay warm in camp. Here are simple directions to make a stuff sack from old pillow cases. Learn how to store your sleeping bag correctly helps it last. Make a bed roll for cold, wet, snowy camp outs and hunting trips. Each layer adds warmth, and the canvas outer layer adds protection from wind, rain, or snow. Assemble this at home, roll it, then toss it on your cot or on the ground at camp. A bed roll is a great way to sleep in comfort at a remote Alaska cabin. Do drafts from doorways allow cold air in and rob your home of heat? Take the sleeves from an old sweater, and sew them into a draft stopper to help keep your home warmer this cold winter. Follow these simple directions, and keep the winter chill out of doors. Easy winterizing projects can be inexpensive and effective. Before you head to the campground, backyard, or bug out zone, assemble a few basic pot holders and towels for cooking. Cast iron cooking is handy, but hot. Make a pot holder to fit the handle of your cast iron or camping pots and pans. Don't let your trip be ruined with a burned hand. Do you like the look of an infinity scarf? Grab an oblong scarf, stitch it together, and in five minutes, you have a new, cozy infinity scarf. Try warming your neck with this easy project. If you are looking for ways to stay warm in winter weather, try this. With just a pair of scissors and an old cotton T Shirt, you can make an infinity scarf in 1 minute. I used an extra large shirt for this one. The larger the shirt, the longer the scarf. Turn an old shirt into your newest accessory! Try this no sew project to help keep you warm in cold winter weather. All you need is an old t shirt and a pair of scissors. Cut and stretch!